Fichardt Park is a well-established suburb in the southern part of Bloemfontein and provides a serene environment for its residents. The suburb boasts large family homes with pretty, well-kept gardens as well as several townhouse complexes and a popular retirement village. 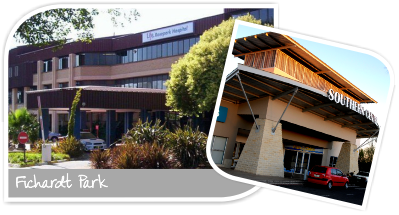 This ever popular suburb ensures quality of living and has everything you need right on your doorstep - from the popular Life Rosepark Hospital with a medical consortium, several guest houses and shopping centres. These include the Southern Centre (which holds the Pick ‘n Pay Hypermarket) and the newly upgraded and extended Fauna Shopping Centre (holding Checkers Hyper, Hi-Fi Corporation, Mr Price Home etc.). The Showgate Shopping Centre is also in close proximity, together with popula r retailers such as Pick ‘n Pay Mini, Builders Warehouse and CTM, as well as the Virgin Active Gymnasium. Schools in the area include Fichardt Park Primary School and High School, as well as Jim Fouché Primary and Secondary Schools and the Martie du Plessis Special School, all within a 1km radius. In terms of properties, Fichardt Park roughly consists of 80% houses and 20% sectional title properties like townhouses and apartments. This suburb offers excellent value and all you need for convenient family living.